Caserones, a copper mine in northern Chile property of Japan's top smelter, JX Nippon Mining & Metals, will have to pay $10.8 million for breaching conservational rules, an environmental court has ruled (in Spanish). The fine, the second-highest the country’s environmental authority —SMA— has ever imposed, was set in March last year, after the regulator found a number of infractions at the mine. The largest penalty so far — $16 million — was imposed in 2013 to Barrick Gold’s (TSX, NYSE:ABX) now shelved Pascua Lama gold and silver mine. Caserones, which began commercial operations in 2014, has struggled with its waste system and other problems during the ramp-up phase, which has repeatedly delayed reaching full production. The payment, however, had been suspended after local communities filed claims against such resolution. But in its decision Tuesday, Chile’s environmental court rejected those claims and, instead, ratified that Caserones had been properly fined over breaches that include failure to prevent the contamination of underground water supplies and the construction of unauthorized transmission lines. The mine has struggled with its waste system and other problems during the ramp-up phase, which has repeatedly delayed reaching full production. On Wednesday, Japan's largest oil refiner, JX Holdings, which owns JX Nippon Mining & Metals, said Caserones ran at only about 60% to 70% capacity in January, missing its earlier target of full utilization throughout the month. JX is now aiming for full utilization at the copper mine in March, Reuters reports. 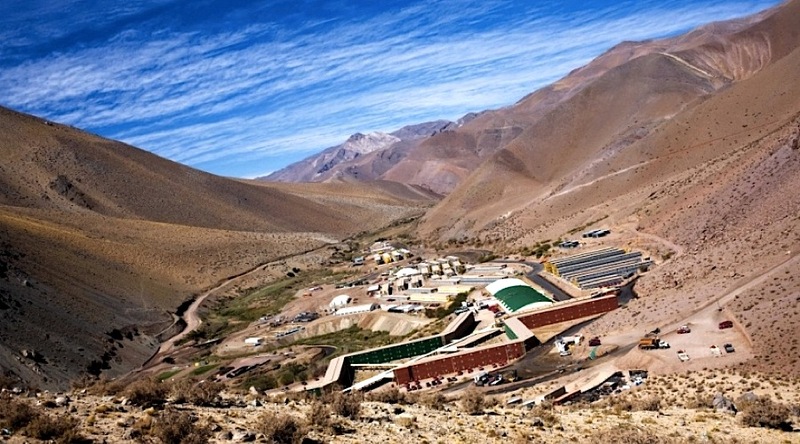 The mine, located 62km south-east of Copiapo city in the Atacama desert region, produced 45,000 tonnes of copper concentrate in the calendar year 2015, missing its earlier target of 64,000 tonnes, the company said. Its output target for January-March is 23,000 tonnes, up from 17,000 tonnes for the October-December period. The company also said it will book an impairment loss of 80 billion yen on Caserones for the current business year amid plunging copper and molybdenum prices. The mine, which began commercial operations in 2014, belongs to Minera Lumina Copper Chile (MLCC), a company majority owned by Japanese Pan Pacific Copper Co. (77.37%), which in turn is owned by JX Nippon Mining & Metals (66%), Mitsui Mining & Smelting Co., Ltd. (34%) and Mitsui & Co. (22.63%).